With such a frenetic hardware update cycle, a phone or tablet that’s one or two years old can seem like it’s old news. But gadgets can last much longer, and thankfully a few of those are getting updates to the latest version of Android this week. 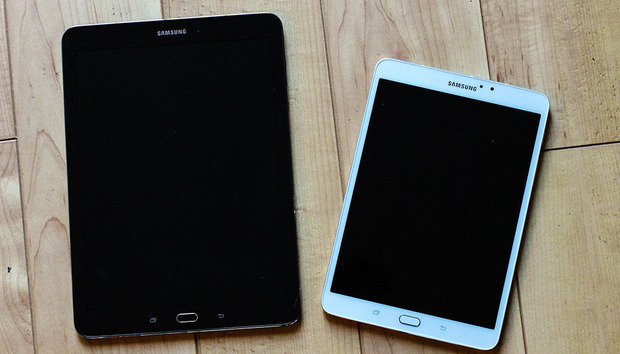 If you have a Samsung Tab S2, Galaxy Note 4, or S5 then this is your lucky week. We round up all the major software updates to hit the Android ecosystem each week, including phones and tablets on U.S. carriers, unlocked phones, Android Wear smartwatches, and Android TV devices. Making sure your device is running the latest available software is a good housekeeping practice, ensuring you have the latest features with fewer bugs and gaping security holes. Galaxy Tab S2: Samsung has a pretty solid tabled in the S2, as our review liked the build quality and general performance. Now you’re getting Marshmallow with the package, according to a Verizon update. Along with the latest update to Google’s OS, there are some Samsung-specific improvements like a drawing mode in the Memos note-taking app, animations in the gallery, and email sorting capabilities. Galaxy Note 4: Phones that are a couple of generations back tend to get left off of the update train. But not so with Samsung’s big Note 4, which is now getting Marshmallow. The Verizon changelog details that you’ll also get Wi-Fi calling and the latest UI changes with Samsung’s TouchWiz. Galaxy S5: This was the last of the plastic-build phones from the S line. And now Verizon’s update brings Marshmallow, along with support for Wi-Fi calling, and updates to the pre-installed bloatware.